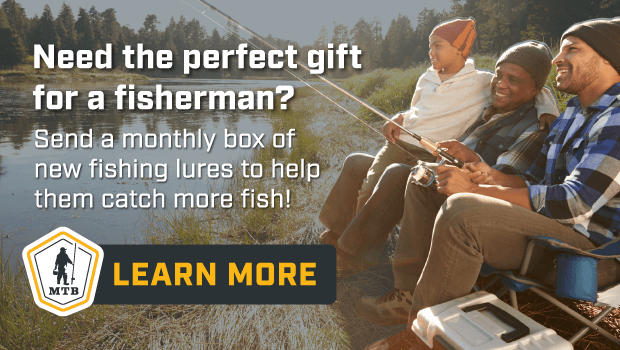 Mystery Tackle Box is a great subscription box, that my husband, and son, both love. My 6 year old loves going fishing with his daddy, so when the Mystery Tackle Box came in the mail, they fought over who got to open it. The Mystery Tackle Box had some great fishing gear in it, that they will use this Spring, to go fishing. I think the 6 year old was more excited than the 40 something year old, and he was pretty excited too. Now we can get something (Mystery Tackle) every month. You can subscribe to Mystery Tackle Box for as little at $14.95 a month. Or, you can get a Pro or Premium box, for just a little more. Check out the plans here. You will love it as much as the males in my life did. It would even be great for that female fisher. I don't fish, or I would love it too. It is a great gift for anyone who fishes, and you can even give it, as a gift. Mystery Tackle Box is the original monthly lure subscription service. We have featured over a hundred different brands in our boxes and have introduced tens of thousands of anglers to new products they have come to love. We ship out over 2 million baits a year and we continue to grow as our customers love getting their boxes every month. In fact, we're often told that it feels like Christmas once a month! So start changing the way you discover new lures and learn new fishing techniques and subscribe to Mystery Tackle Box today!